There are some color combinations that I feel always work well together. And now that spring has sprung I think it’s appropriate to talk about one of my favorite color combos- pink + gray. And with a touch of gold accessories, you can’t go wrong. Lucky for me, I have a few pieces in these colors. 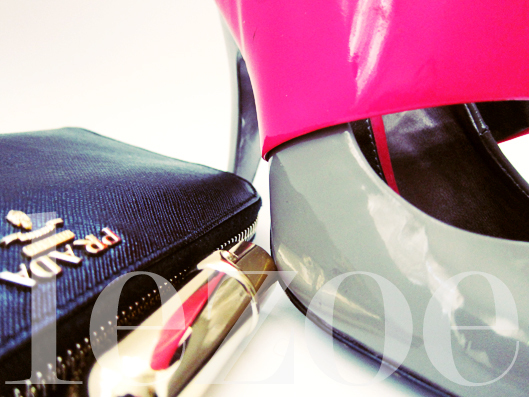 Although the pinks of my pieces are a little bold (bright, neon) you can def. tone it down w/ a soft blush pink as shown on the color swatch below. Doesn’t matter, any shades of pinks and grays together will do. Well, who am I to say that these colors work? I’m not a fashion expert by any means, just going w/ my gut. After all, style is all about individuality. Make it your own and own it. 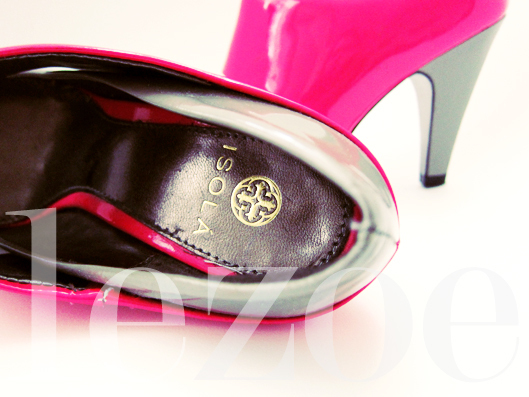 I love these Isola shoes. I own a few pairs. You can purchase them at Nordstrom. The materials on these pumps are patent leather w/ leather sole. Great wear for those April shower days! One of my all time favorite nail color is a gray shade, You Don’t Know Jacques by OPI (the name also has a great ring). Since then, I love wearing grays. I think it’s a color that can be worn yr round since you can do a darker tone for winter and then a lighter one for spring. The color I have on is not from OPI, it’s a much lighter shade but I dig it! Gold ring- a wedding gift. So I guess if you have pink pieces but no gray ones (who doesn’t own anything gray?!!!) you can add the gray w/ nail color. Love the detail of the bag! Wonderfully made. Very skillfully crafted. Bag by Navoh! I own a few pieces from this handbag line. Will do a separate post on them SOON! You can also purchase NAVOH from Nordstrom. Btw- not that it’s relevant or important. I usually file my nails square, this time I decided to make them roundish and I LOVE them! Hope you enjoyed the post! What is your favorite color combo + are you rocking it for spring? What a great combo! You always have the best photos. I just started following you today, but i have viewed your page many many times in the past and I have to say, I love your blog! It’s original and so lite ( not heavy in filler, if that makes sense to you). Just wanted to show you some love and thank you for the likes ! just stumbled upon your blog and love it & love the gray & pink combo. i’ve never been much of a pink girl either but i definitely appreciate it when paired / worn well. those shoes are so cute! I LOVE this color combo, too! In fact, my baby girl’s room is all pink and gray 🙂 I’m looking forward to making the personalized name frame from your other recent post in these colors. Thanks for such great inspiration! Love the blog!! I’m not so into pink, but this post may just change my mind. Ha! I can honestly tell you that my taste has changed over the yrs. I was NEVER a pink nor gold person. Now I’m both! Hi Kellie, this is a terrific post. And you’re right this is a wonderful color combination. 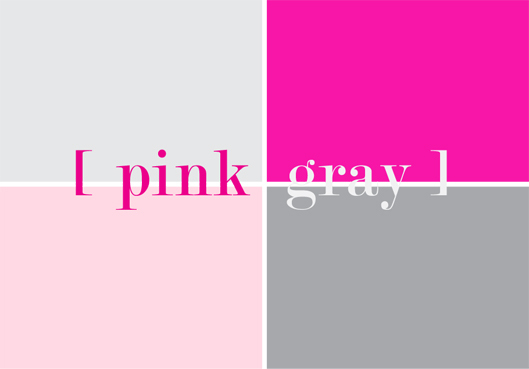 What’s interesting about combining pink and gray or hot pink and silver is that these colors bring out an elegance that’s youthful. It’s as if they’re daring you to have fun. Thanks for sharing! I love pink too. Beautiful shoes. You Don’t Know Jacques is my fave. Lovely styling! Great color combo, and lovely pictures, as usual! I adore purple and gray, and of course am in deep like with yellow and gray as I do Kasen’s nursey. I even ordered my new Vera Bradley purse with a hint of yellow and gray, which is a complete departure from my usual purples and pinks. I agree, gray goes w/ many colors. Lovely post. I am crazed for kelly green, and just did my nails navy (blame it on the Duchess of Cambridge). It was a toss-up with the silvery-grey, though. 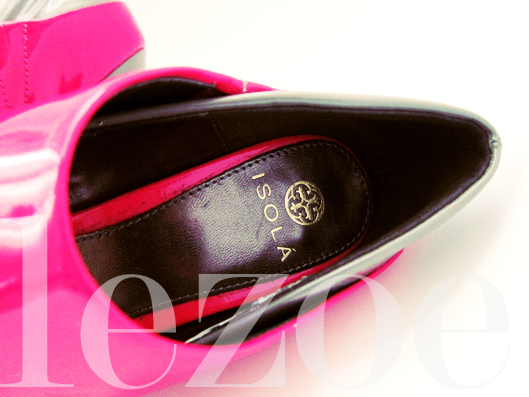 Love pink and gray toether…such a classy combination.